CNN’s chief White House correspondent Jim Acosta walked out of the White House press briefing today after a tense exchange with White House press secretary Sarah Huckabee Sanders. Hopefully he won’t find his way back. Tough, tough job…always having to speak for Trump. I still think she’d be happier joining Trump 2020 Campaign Manager, Brad Parscale, doing campaign work for which she is better suited. She could find better villains IMO. 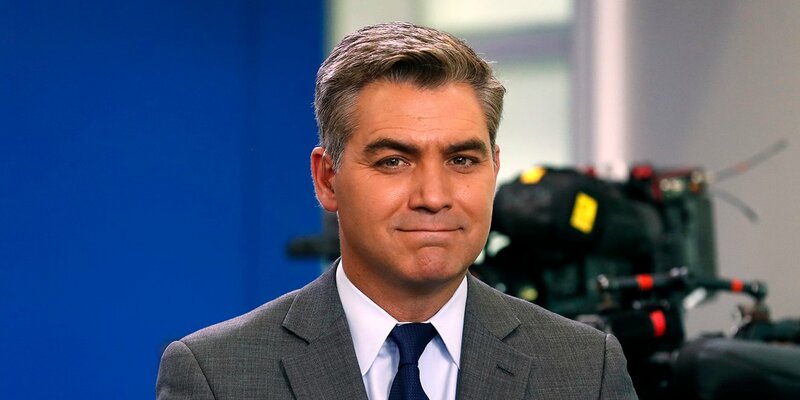 Jim Acosta has crossed the line in the eyes of some (perhaps many) on the Right by treating the President rudely when shouting questions. But he’s no Sam Danelson in his level of rudeness — or even Jake Tapper when he was grandstanding as an Obama WH correspondent. He’s generally well liked by his colleagues based on what Twitter shows…and it seems to be growing. It appears all the dissent is coming from the Right. Smug arogant Acosta would go up in my estimations if he had the guts like Isha Seshay to say CNN is no longer a news channel, where is the Zimbabwe election coverage CNN of old would have covered?